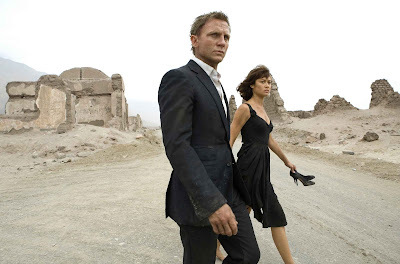 There is less focus on high-tech gadgetry and more on character and action, and 007 himself is a fallible human being. But the Bond of "Quantum of Solace" is like a wounded animal, and as such is more dangerous than ever before. There is an overall lack of subtlety here. It's nonstop action, but Forster makes it count. This isn't a mindless blow-'em-up thriller, this is an intelligently crafted, superbly edited, lean, mean piece of work.